Why do pizzas stay hot? Why are olives edible? How does ice carry electricity? Why is blood redder in the tropics? How much is a fingertip worth? Why do camps require health forms? What do drooping eyelids, electric eels, and curare have in common? What was the secret of the Sphinx? 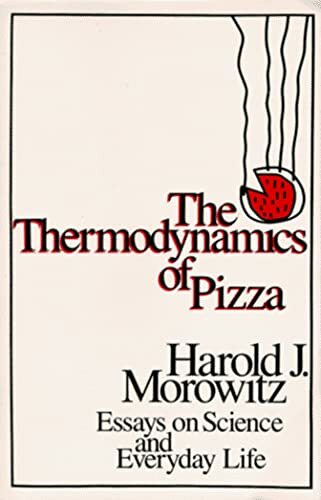 In fifty-plus essays, Harold J. Morowitz, a distinguished biophysicist with a very active sense of curiosity, muses over these and other questions that arise in the course of his daily life, his scientific research, and his miscellaneous reading. Morowitz's wit, warmth, and ability to make the most surprising connections will delight every reader. Filled with fun essays about the various sciences. My favorite is his analysis of the grotesque overpricing of cereals in 1991. And, as you may recall, all major American cereal manufacturers cut prices drastically in mid-1996. Thanks, Dr. Morowitz, but what took them so long to read your book?! 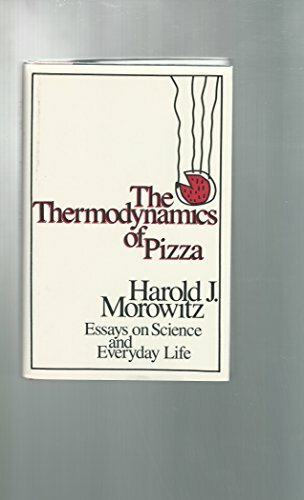 These 52 essays by the author of Mayonnaise and the Origin of Life (LJ 11/15/85) and Cosmic Joy and Local Pain ( LJ 4/15/87) run the gamut from reflections on the bagel, olives, and pizza to a discussion of Thoreau's knowledge of the natural sciences and a comparison of the sailing voyages of Christopher Columbus and William Buckley. Avoiding the repetitive style of many essay collections with pieces that vary in length and difficulty, Morowitz, a distinguished biophysicist, comments on a broad range of subjects in contemporary and historic science. His language is not overly technical, making his pithy insights easily acessible to the general reader. Recommended for public and academic libraries. Library of Science Book Club alternate. - Susan Klimley, Columbia Univ. Libs.